Tracey D'Aviero is a veteran VA, President of the Global Alliance of Virtual Assistants (GAVA) and the Canadian Association of Virtual Assistants (CAVA), and Founder of Your VA Mentor. CAVA is a professional trade association for Virtual Assistants that provides education, information, resources, community and certification for Canadian VAs. GAVA is a similar association for VAs worldwide. With Your VA Mentor, Tracey trains and coaches professionals who are brand new to the VA industry or who have been struggling to make their business successful. She has operated her own business since 1996, has been coaching and teaching VAs since 2010, and purchased GAVA and CAVA in September 2016. Her mission with both of the associations and with her coaching business is to educate professionals on how to build and grow successful and profitable VA businesses with a solid foundation, goal setting that works, and accountability and support. Tracey brings valuable experience from a variety of industries and varied service offerings to offer the members of the associations and her coaching clients and students a broad range of insight, information and direction. Tracey lives in Osgoode, Ontario, Canada with her husband Tony (an amazing chef) and her son Owen (also amazing, currently attending college in the culinary management training program). 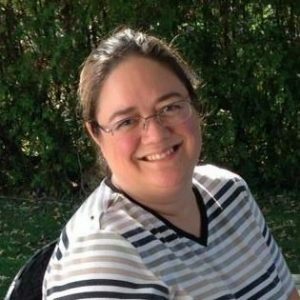 When she is not working with VAs or her own VA clients, Tracey can be found with her family and friends, enjoying good food, drink and conversations, watching hockey (Go Sens Go! ), and generally just enjoying life. How I Got Here … The Long Way! I went back to school when I was 24, after being in the workforce for several years (in administrative roles), to get back into the hospitality industry. I was fortunate to get involved with a growing restaurant chain, and I went quickly from prep cook to kitchen manager. I migrated back into the administrative area of the restaurant, and in 1996 I left my apron behind and started a consulting business, as a Food and Beverage Consultant. I worked as a consultant for the next several years and eventually worked solely with that same restaurant chain, through their head office, but from my home office. We opened nine restaurants and my position was to set up systems and procedures for staff training and food and beverage menus. I also did financial analysis and reporting for each store. I dove in head first and before I knew it I came to realize that I had actually been operating as a Virtual Assistant for almost my entire career. I have been working from home and communicating with clients mainly via email since early 1997. Ever since then I have been a huge advocate of the Virtual Assistant industry, and GAVA , CAVA and Your VA Mentor are all parts of that. Thanks for being here. I hope you will find something that might help you in your business!